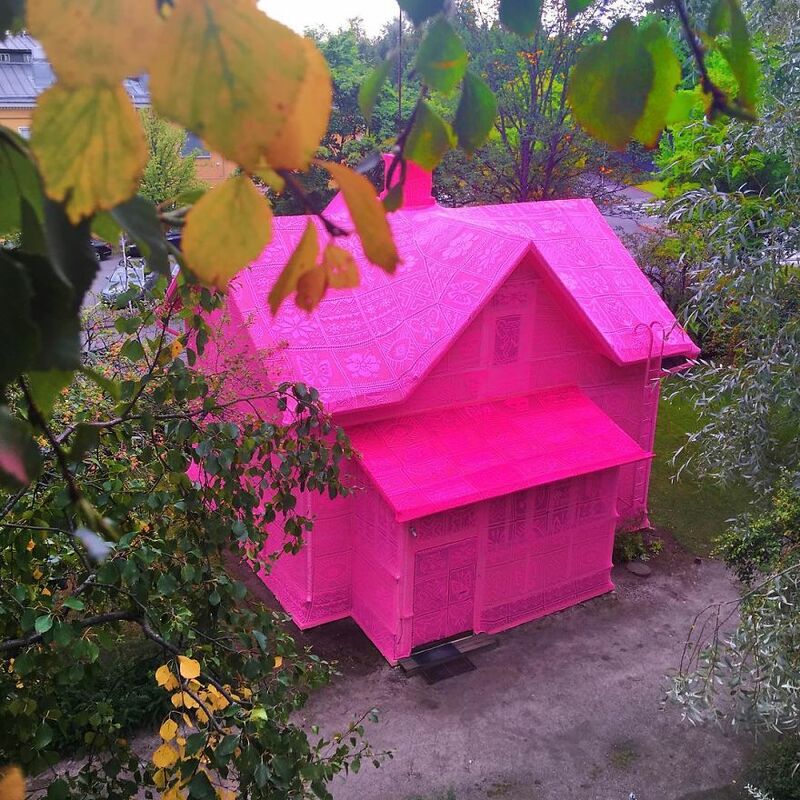 Polish sculptor and performance/street artist Agata Oleksiak, professionally known as Olek or Crocheted Olek, is already known for her crochet street art and crocheted locomotive here on Bored Panda. 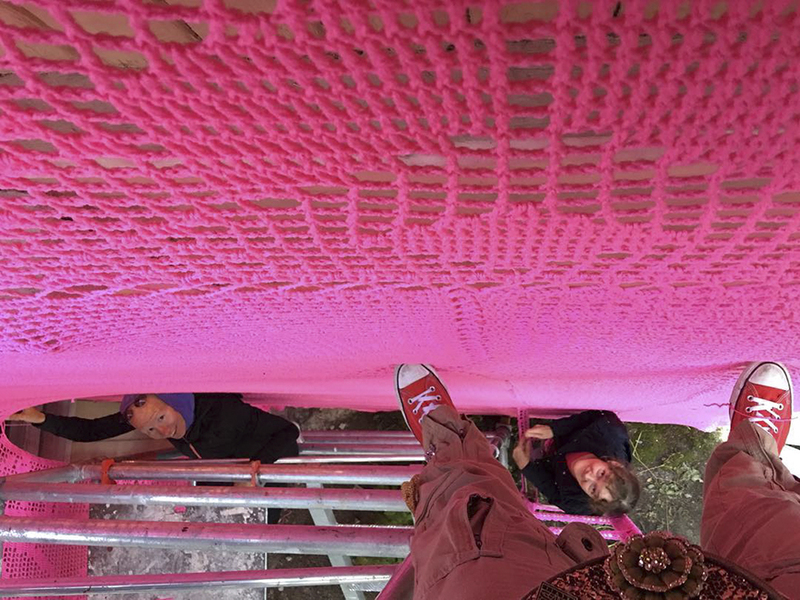 Although crocheting might seem like an old fashioned technique, Olek uses it to express everyday occurrences, inspirations and hopes, often masking political and cultural problems. This time is not an exception. 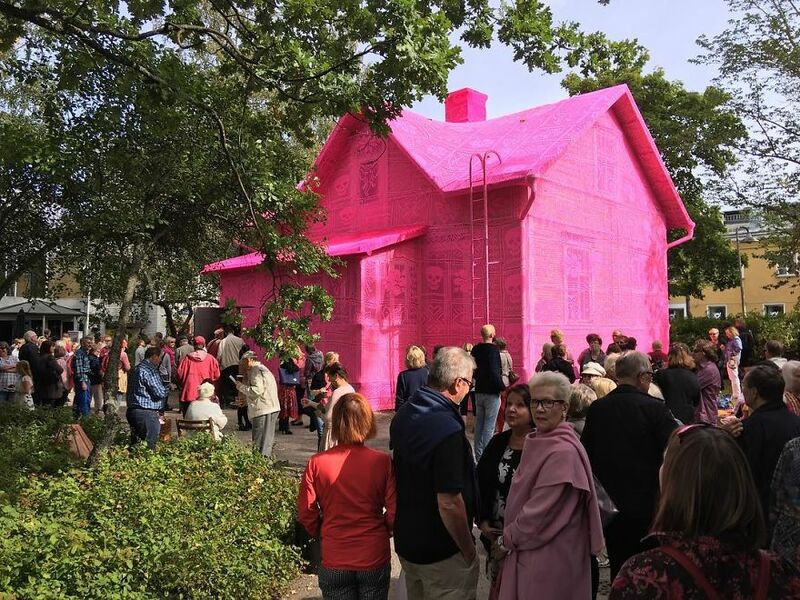 With the help of Syrian and Ukrainian women, most of whom are refugees, Olek covered an entire two-story house in vibrant pink crochet. 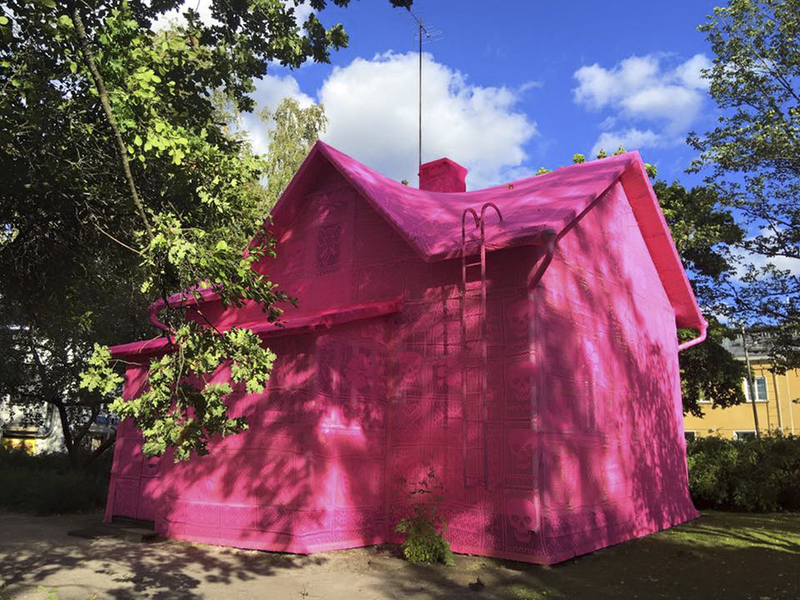 The 100-year-old house that stands in Kerava, Finland was bombed during the Winter War in 1939-1940 and has now become a bright message of hope. 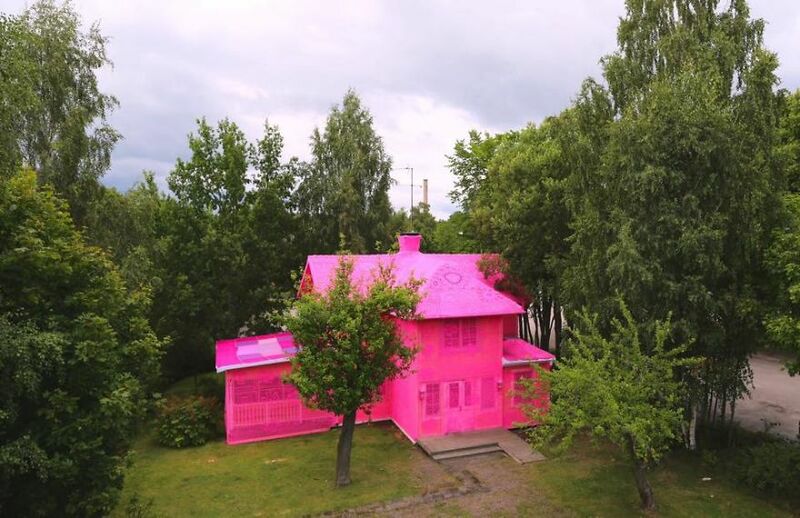 “The pink house, our pink house is a symbol of a bright future filled with hope; is a symbol (of) us coming together as a community,” said the artist on her Instagram.